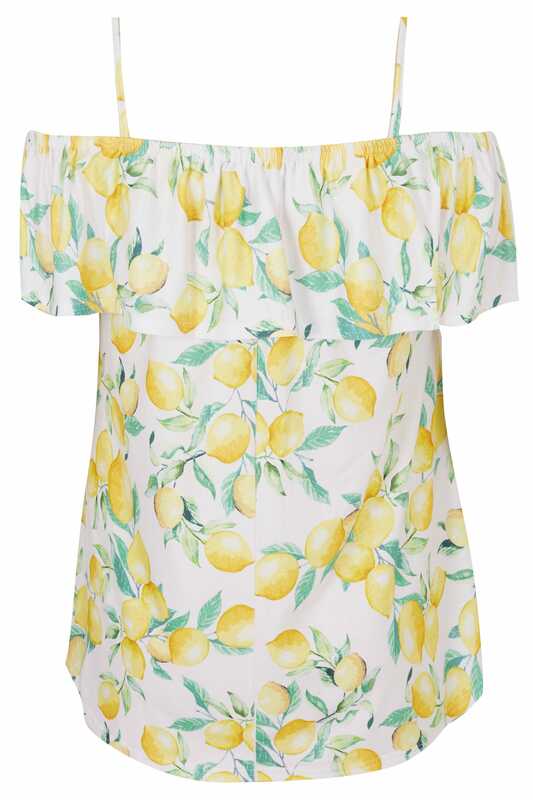 Bring colour to the forefront of your wardrobe with this top. 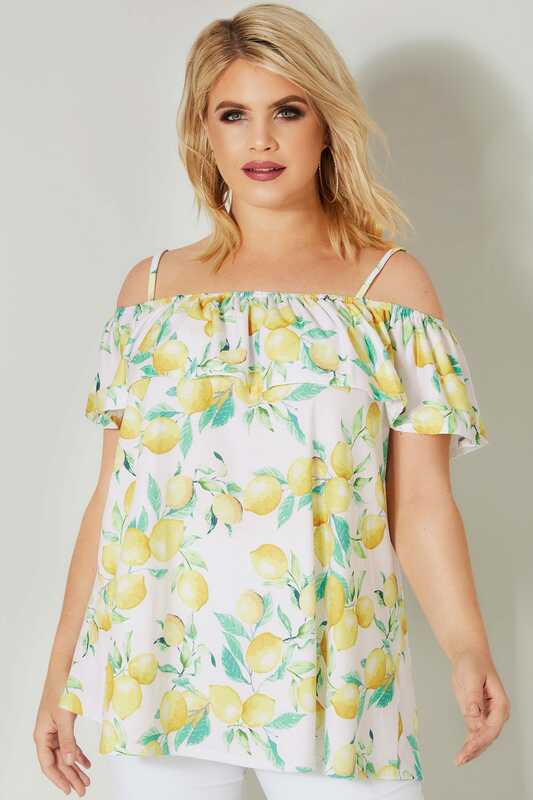 In an on-trend Bardot style, it features a frilled layer and an elasticated trim for a comfortable fit. For an off-duty look, team with denim and flats. 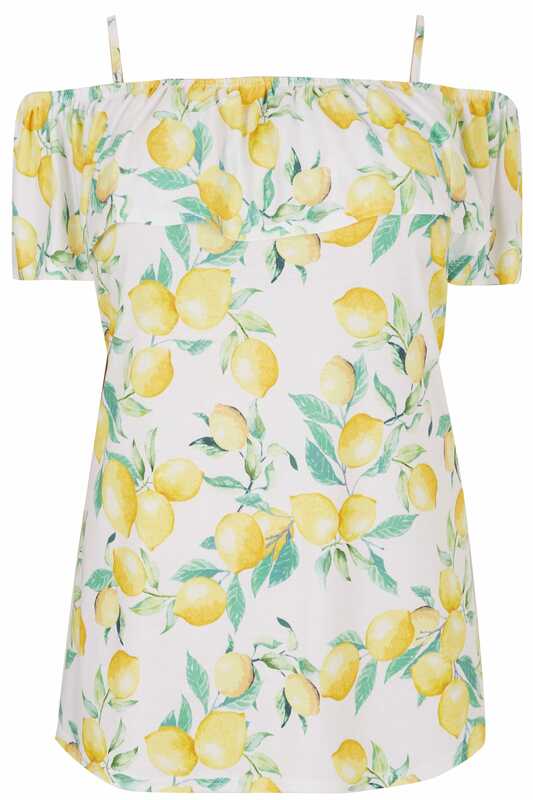 We love the bold lemon print this season.